Authors abound here in Vermont’s Northeast Kingdom, writing in many different genres. Who are some of these authors, and where to they get their ideas. 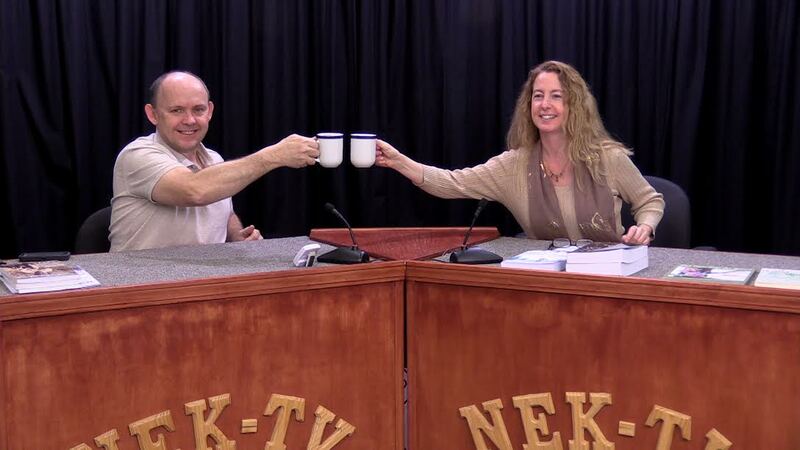 Tanya Sousa of Coventry was a recent guest on the Northeast Kingdom Voice television show. She and the host of the show, Scott Wheeler, the publisher of Vermont’s Northland Journal, will talk, among many things, about the collaborative spirit among many of the region’s authors. 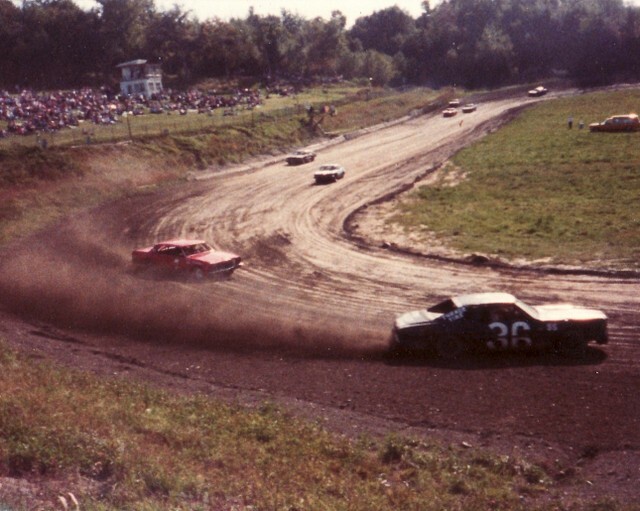 The man who brought us the Can-Am Speedway in Coventry, VT, Charlie Nadeau, has passed away. Charlie was a lifelong businessman. 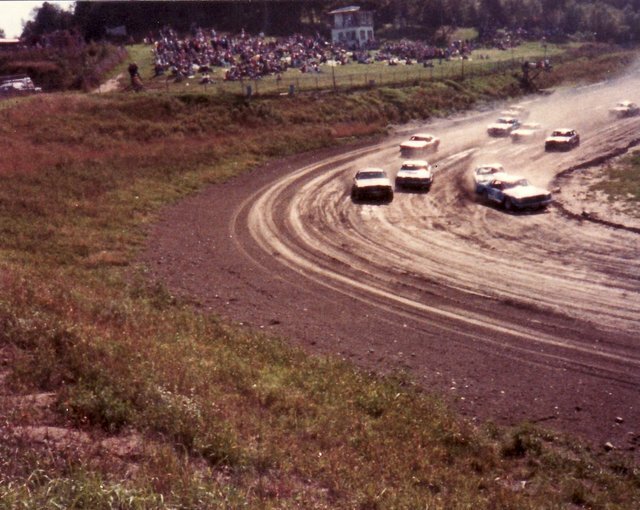 During the 1980s, as the owner of Nadeau’s Landfill on the Airport Road in Coventry, he transformed a section of it until a dirt race track. People came from near and far to have several years’ worth of fun. 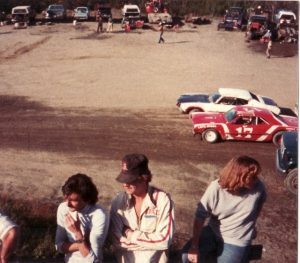 The track was a real family affair for the entire Nadeau family. Our deepest sympathies to the Nadeau family. Today I have been hearing a lot in the news about the serviceman, Matias Ferreira, who lost both of his legs in Afghanistan, and how he refused to abandon his dream of becoming a police officer. His dream has now come true. I am inspired by him achieving this milestone! The story made me think of my friend, Tony O’Connor of Derby. He lost three limbs –two legs and an arm in 1966, not in combat, but in an accident. As with Mr. Ferreira, Tony didn’t let the loss of his limbs from allowing him to become a lawman. Tony retired after a long career as an officer with U.S. Immigration’s. In knowing Tony, and in listening to Mr. Ferreira talk, I know the two men would really like each other. They both seem to have the same attitude on life. Tony truly is an inspiration to many people, including me. For people who don’t really know him, they might not know he walks on prosthetic legs because after wearing them for so many years, they are so much part of him. Although he is unable to wear a prosthetic arm in place of his missing arm, he has never let that get in his way of him living a rich and fulfilling life. Besides being a career lawman, he has been married for four decades (God Bless you Gigi for surviving that), he is a father and a grandfather. He is also a champion golfer and racquetball player. 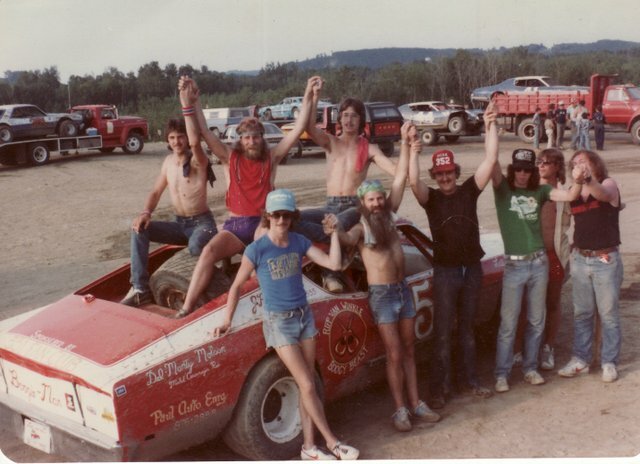 In addition, for many years he has volunteered his time with new amputees to encourage them there is life following a loss of a limb, even three limbs. Tony is also an inspirational speaker, and in his retirement, he is a stand-up comedian. 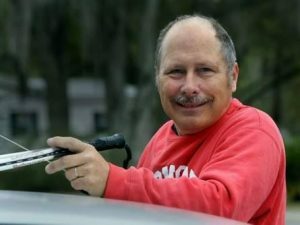 During the winter months, he takes his comedy act around Florida, often finding humor in being an amputee. People like Mr. Ferreira and Tony simply amaze me. They were dealt a bad hand and made the best of it, inspiring so many people around them. 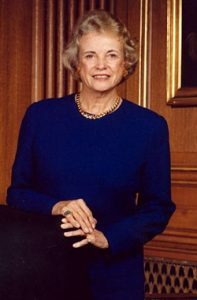 With a raging debate going on about nominating Neil Gorsuch to the U.S. Supreme Court, the following is an article I wrote in 2005 about a Supreme Court justice with a genetic link to VT’s Northeast Kingdom – Sandra Day O’Connor. 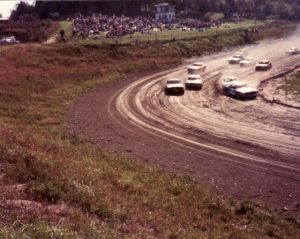 Thelma Wilcox, who is featured in this article, has since passed away. Thelma Wilcox, town clerk of Coventry between 1974 and 1994, will never forget the visitor who walked into her office one day. The Supreme Court justice was visiting the area to research some of her family’s history in Coventry. Wilcox, who is 87, said her contact with O’Connor remained very professional, with little chatting between them, but she said she was impressed with the graciousness of the judge. When O’Connor announced on July 1, 2005 that she is retiring from the U.S. Supreme Court [she retired January 31, 2006], the news took some court watchers by surprise. In recent months there had been speculation that the 75-year-old judge was contemplating stepping down, but most people who follow the court thought ailing Chief Justice William H. Rehnquistwould retire first. O’Connor’s announcement served to increase the speculation about Rehnquist. President George W. Bush has nominated John Roberts to replace O’Connor. Roberts’ appointment to the bench isn’t a done deal. Confirmation hearings scheduled for late August or early September are sure to spark lively debate. Much has been written about the fact that Judge Rehnquist is a part-time resident of Greensboro (who has passed away since this article was written), but little has been written about O’Connor’s connection to the region. Her ancestral roots are in Coventry. Day Cemetery on Pine Hill Road in that community is named after her ancestors, and she has a number of distant relatives still living in the region. H.C. Day, our grandfather, was a New Englander—shrewd, conservative, careful with his money, intelligent, not afraid to tackle new ventures. He was named for Henry Clay, whose Whig politics were popular in New England before the Civil War. H.C. Day worked on the family farm in Coventry, Vermont, until 1865, when he turned twenty-one. Then, a free man, he opened a general merchandise store on the Canadian border, some ten miles north of Coventry. He made a nest egg and moved west to Wichita, Kansas, a central hub in the westward expansion. There he opened a building-supply business, furnishing materials for the rapid expansion of that city after Congress abruptly appropriated lands claimed by several Indian tribes. He acquired a cattle ranch outside of Wichita, as well as various other properties…. Sandra Day O’Connor was born in El Paso, Texas, on March 26, 1930, to Harry A. and Ada Mae (Wilkey) Day. President Ronald Reagan appointed her to the high court in 1981, making her the first woman to serve on the U.S. Supreme Court. 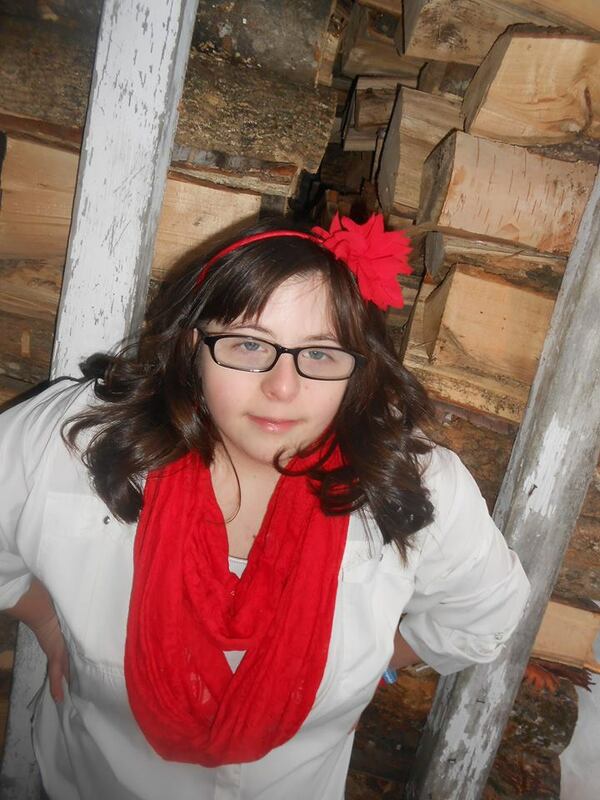 Today (March 21) is World Down Syndrome Day, a special Day for Olivia Brosseau of Glover. Although born with Down Syndrome, she hasn’t let it hold her back. In addition to being an anti-bulling advocate, the graduate of Lake Region Union High School is a student at the Community College of Vermont, and she is the Vermont ambassador for the National Down Syndrome Society. She is a true community leader. The following are words that Olivia shares in honor of World Down Syndrome Day. Thank you, Olivia, for your great words, and thank you for just being you. You are an inspiration to many people.